Watch the Sumak promo video! She dreams of using her startup business to boost the local economy and reduce violence against women in her native Ecuador. Andrea Armas (CPS ’18), a Strategic Public Relations student in the Graduate School of Political Management, developed her business idea around Sumak, an indigenous Andean beverage made from purple corn. She began developing her business idea in a GW course called “Media, Globalization and Development” and then entered it in the 2018 New Venture Competition. She reached the final round, with only nine teams remaining out of 133, and was awarded a monetary prize. She entered her company, Sumak, in the Social venture track of the competition, because she plans to have an economic, emotional and educational impact on the local women in her native Ecuador. She said that 6 out of every 10 women in Ecuador are victims of violence. She will use the profits from sales to combat domestic violence by providing local jobs and helping fund education. Their website says, “Fight with us against violence!” The company’s slogan, More Together, More for Peace! promotes the idea of each sale contributing to women’s empowerment through economic independence. Armas currently works for IDB Invest, the private part of the Inter-American Development Bank, focused on Latin America. She already has undergraduate and graduate degrees in International Relations and expects to graduate with her GW master’s in Strategic Public Relations in the fall. 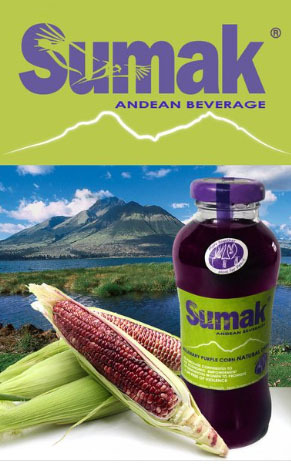 Sumak, an indigenous Andean beverage in Bolivia, Peru and Ecuador is made from purple corn, fruits and Ecuadorian spices. It is known to have antioxidants and phytonutrients, with multiple health benefits, such as supporting the immune system, decreasing inflammation and improving blood circulation. The purple corn used in the recipe is unique – it can be cultivated only in the highlands of this region. When planted elsewhere it loses its pigmentation resulting in the loss of its flavor and unique benefits. Congratulations to all five of the CPS teams that participated in this year’s competition, but especially to Andrea Armas for making it to the final round and receiving a $5,000 prize.